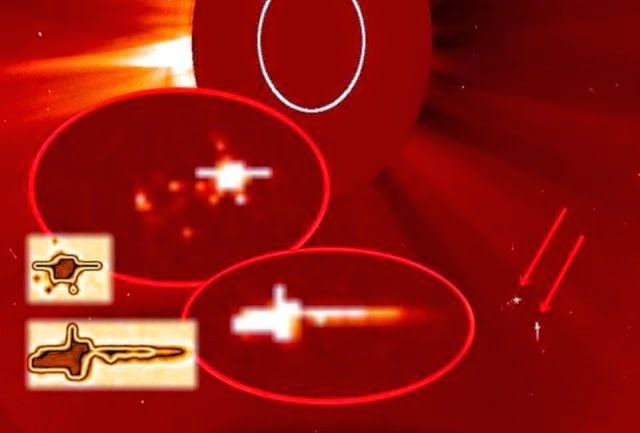 It seems there is a lot of UFO activity around the Sun. 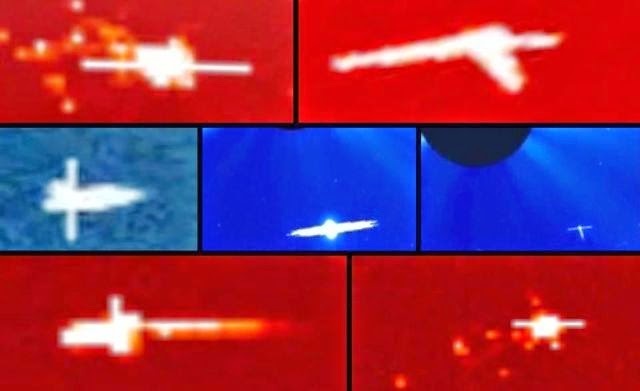 Since May 8, 2015 multiple huge UFOs of different sizes, different structures and forms are seen near the Sun. The latest sighting, captured by NASA’s SOHO satellite on May 15, 2015, shows two massive UFO-like objects with solid structures. UFO-like objects captured by NASA's SOHO satellites Lasco C2 and Lasco C3 from May 8, 2015 to May 15, 2015.